Chocolate chip cookiesare one of the most all-American desserts out there. You would be hard pressed to find a person who didn’t love these cookies and most have a beloved recipe that has been handed down in their family. 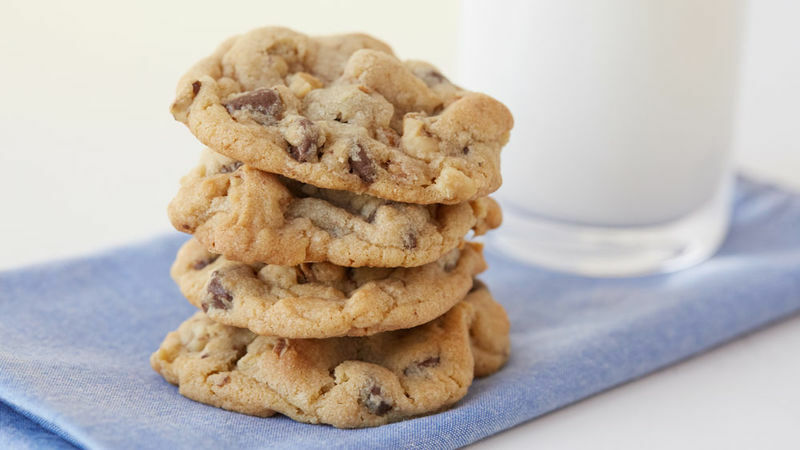 The chocolate chip cookie came to be when Ruth Graves Wakefield, a chef at the Toll House Inn in Whitman, Massachusetts, broke a semi-sweet Nestlé™ chocolate bar into pieces and added the pieces into a cookie recipe. Wakefield sold her easy chocolate chip cookie at her restaurant and soon people were buying the cookies from the restaurant’s gift store and sending them to loved ones serving in World War II. The soldiers shared their cookies with their fellow comrades and the chocolate chip cookie phenomenon spread like wildfire across the nation. 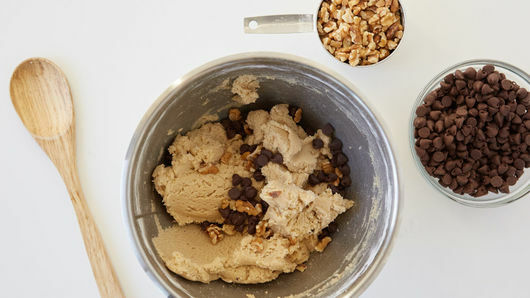 Today, the classic chocolate chip cookie has evolved into a recipe that professional and home bakers are forever improvising. What we love most about the chocolate chip cookie is that it’s irresistible on its own, but it can also serve as the base ingredient for another amazing dessert. Check out our tips for how to hack your chocolate chip cookie and you’ll never run out of reasons to make this classic cookie.